Situated within the northern Tohoku Region, Miyagi’s picturesque coastline spans the Pacific Ocean on its eastern side whilst its interior is home to a 1000 metre high mountain range that runs west into neighboring Yamagata. 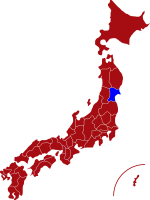 Bordering the Prefectures of Yamagata, Fukushima, Akita and Iwate; Miyagi is also home to the largest city in the Tohoku Region, Sendai. Characterized by its endless rows of rice paddies, high mountains, scenic coastline and numerous pine covered islands; it’s very easy to be overwhelmed by the natural beauty which this prefecture has to offer. Considered by many to contain some of the country’s best scenery, Miyagi also offers many wonderful culinary delights including beef tongue; an essential part of any Japanese barbecue. With almost 23 percent of Miyagi designated as National Parks, there are countless opportunities for exploring its many great natural wonders. 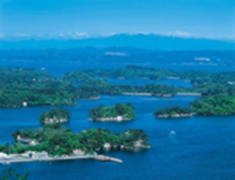 The first choice for any visitor should be the spectacular Matsushima Bay. Home to many small islands covered in lush pine groves, this area has captured the imagination of numerous Japanese poets with its natural beauty and serene atmosphere. If you only have time to see Japan’s vibrant autumn colors only once then head straight to Naruko Gorge. Arguably one of the country’s most scenic spots, Naruko Gorge stretches for over 2 kilometres and has a viewing platform where you can enjoy the dramatic scenery below. For anyone exploring Miyagi’s vast array of natural wonders you will soon understand part of the unique charm that Japan’s northern Tohoku region has to offer and will find it difficult to leave. For more information about Miyagi prefecture, see their official tourism website. Air - Sendai Airport is located in the southeast part of Miyagi and is approximately 25 minutes train ride from the city centre. The airport operates daily domestic flights to many major cities throughout Japan. Click here for its English website. Rail - The main station in Miyagi is Sendai which can be reached from Tokyo in about 1 hour 30 minutes. Samurai Residence is a carefully preserved family home of a samurai warrior dating back more than 270 years. 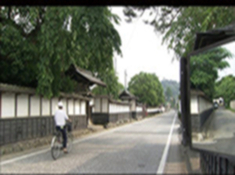 Visitors are given an insight to the daily lives of locals during the Edo Period. Matsushima Bay comprises of more than 260 tiny islands covered in pine trees. The bay has been designated a Special Place of Beauty and is regarded as one of the three most scenic views in Japan. 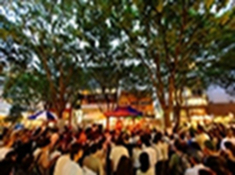 Jozenji Jazz Festival is one of Sendai's biggest annual events and attracts music lovers from all over the world. The festival takes place over two days on a weekend in September. 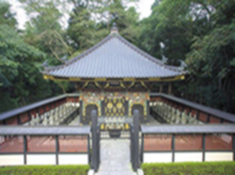 Zuihoden Mausoleum is the final resting place of Date Masumune, one of the most influential Samurai warriors during the Edo Period.